The Rhizome Seven on Seven Conference will pair seven leading artists with seven influential technologists in teams of two, and challenges them to develop something new—be it an application, social media, artwork, product, or whatever they imagine—over the course of a single day. The seven teams will work together at locations around New York City on Friday April 13 and then unveil their ideas at a not-to-be-missed, one-day event at the New Museum on April 14, 2012, from 12–6 p.m. After the conference, the audience will be invited to celebrate with participants at an afterparty in the New Museum Sky Room from 6–9 p.m. Participating technologists are Jeremy Ashkenas, Blaine Cook, Michael Herf, Marissa Mayer, Aaron Swartz, Khoi Vinh, and Anthony Volodkin. Artists are Aram Bartholl, Xavier Cha, LaToya Ruby Frazier, Naeem Mohaiemen, Jon Rafman, Taryn Simon, and Stephanie Syjuco. 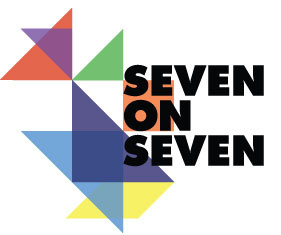 Seven on Seven is presented by HTC and organized by Rhizome. The following conference partners collaborated to help produce the event: eBay, Knoll, RRE, betaworks, and Wieden+Kennedy. We would like to thank our media partner New York magazine and The Standard, New York for their hospitality.